POWER SPIKES II is a sports game released in 1994 by VIDEO SYSTEM. It features the Hyper Mode where the world's strongest eight teams compete along with the World Men's and World Women's teams in this futuristic fighting volleyball game. In Hyper Mode, commands for special serves and spikes can be input for an intense battle. 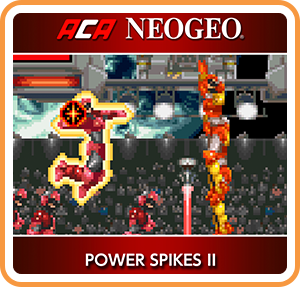 Where can I buy ACA NEOGEO POWER SPIKES II physical/digital?